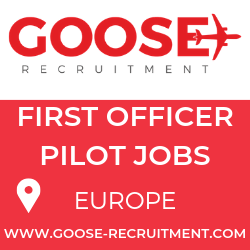 A major new player has launched into the world of pilot recruitment, GOOSE Recruitment and they have big ambitions to become number one. GOOSE is part of the Faststream Group, the global market leader in maritime recruitment, employing over 100 people and with over 20 years of experience recruiting in skills short and high demand global markets. 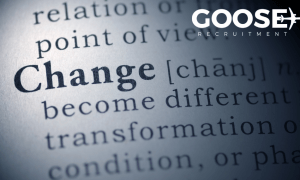 GOOSE is set to shake up pilot recruitment by bringing new ideas and ways of working to the sector. The talent shortage of Pilots is acute – Pilots are employed and are being “bear hugged” bytheir airlines, and those actively recruiting for growing fleets are not finding these Pilotswalking the streets. They are passive rather than active candidates; they don’t need to post their CV’s on job-boards or respond to traditional adverts. They are being approached about opportunities every day and they have a lot of choices. In a high-demand market, airlines have got to try new ways to recruit Pilots and learn from other sectors. GOOSE is seeing airlines and other recruiters taking a high-tech approach andthey are getting it wrong. In a passive market, it’s all about being high-touch with your candidates, not high-tech. Mark Charman Founder and CEO of GOOSE Recruitment explained GOOSE’s take on winningthe war for talent, “Pilot recruitment is a complex global marketplace experiencing both high demand and significant skills shortages, in summary, airlines are fighting a war for talent. 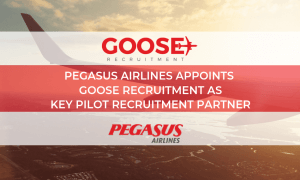 The GOOSE Recruitment team are not pilots who have set up a recruitment business; they are recruitment experts who have set up an aviation recruitment business. Using their expertise from a number of global candidate short, and high demand markets, they bring new ideas and ways of working to pilot recruitment. To facilitate this new approach to pilot recruitment, GOOSE has already set up offices in three global hubs – the UK, Singapore and Houston. Their global locations, as well as holding GOOSE networking events and attending key dates in the aviation calendar, GOOSE will be available to airlines and pilots across the globe in person, rather than relying on traditional high-tech methods. GOOSE’s people are key in their new high-touch approach to pilot recruitment and a team has been employed with a great mix of skills to ensure that they can give the best service to their customers. A combination of recruitment experience, aviation industry expertise, thought leadership, marketing and management skills put them in an admirable place in the market.